Chagas’ disease is the leading cause of heart failure in Latin America. Existing treatments for this disease have low efficacy and unacceptable side effects. Thus, a critical need exists for drug development. Cruzain, the major cysteine protease of the causative organism Trypanosoma cruzi, is an optimal biological target for Chagas disease. K777 has shown exceptional activity against cruzain, but existing its synthesis is inefficient and is not readily amenable to analogue synthesis. We have developed a reaction that should provide a more convenient, cheaper route to K777 and analogues. One targeted analogue can potentially be generated using a chemical that is 200x cheaper than that for K777. Cysteine protease inhibitors have significant potential for use as therapeutics for parasitic diseases. Vinyl sulfones have been demonstrated to be an effective class of cysteine protease inhibitors with exceptional selectivity for protozoan cysteine proteases. We have developed methodology that greatly improves access to a wide range of vinyl sulfones. We anticipate that this methodology will be broadly applicable for the synthesis of potential drugs for the treatment malaria, Chagas’ disease, leishmaniasis and African sleeping sickness. Research Interests: The impact of Cryptococcal fungal pathogens in the HIV/AIDS population now rivals tuberculosis in sub-Saharan Africa. Specifically, there are an estimated one million cases of cryptococcal meningitis globally per year in AIDS patients, leading to approximately 625,000 deaths (Park et al., 2009. AIDS. 23: 525-530). In addition, Cryptococcus gattii has emerged as a pathogen of immunocompetent people. Our research focuses on the identification and characterization of candidate drug targets through the molecular genetic and genomic dissection of virulence mechanisms. One area of current emphasis involves the evaluation of key functions for iron and carbon source utilization during infection. We are currently working to develop new sets of chemical entities to treat malaria that will have activity against strains resistant to current medicines. We propose to achieve this through chemical modification that simplifies the core structure of the naturally occurring compound simaomicin a, an extremely potent antimalarial agent (0.045 ng/mL and 0.0097 ng/mL against the K1 and FCR3 strains respectively of Plasmodium falciparum). Current projects involve the synthesis of simaomicin a itself, as well as the generation of simplified analog structures. Ferrocene has several properties which have facilitated its investigation for potential biological applications. Typically, organometallic compounds are sensitive to moisture and air, but ferrocene belongs to a unique group thereof whose members are stable under both aqueous and aerobic conditions. The small size, relative lipophilicity, easy chemical modification, and accessible one electron oxidation potential of ferrocene make it an attractive reporter moiety and an intriguing pharmaceutical vector. Ferrocenoyl carbohydrate conjugates have potential as metalloantimalarials. Combining the ferrocene moiety with a glucose derivative is a novel approach for developing targeted therapy. The ferrocene moiety has proven to be a successful addition to known malaria therapeutics, increasing efficacy towards chloroquine resistant strains of the parasite. As well, glucose uptake and metabolism in infected erythrocytes is elevated at all stages of the parasite’s life cycle and glucose consumption has been a target in anti-malarial research. The hypothesis of this work is that ferrocene-carbohydrate conjugates have the potential to retain activity in chloroquine resistant parasite strains, and to have increased efficacy by targeting infected cells. This work studies the cytotoxicity and anti-plasmodial activity of several ferrocene carbohydrate conjugates, and includes the synthesis and characterization of numerous new ferrocene carbohydrate conjugates. With Dr. M. J. Adam of TRIUMF, we have published some preliminary studies showing that errocenyl carbohydrate conjugates exhibit some selective anti-malarial activity – glucose uptake and metabolism in infected erythrocytes is elevated at all stages of the parasite’s life cycle. The main goal of the project is to synthesize new ferrocenyl-carbohydrate conjugates that are inexpensive to produce, have activity in chloroquine-resistant parasites strains and that will have increased efficacy by targeting infected cells. Mosquito behavior modifying compounds such as attractants or repellents offer the greatest protection against the threat of mosquito bites. Unfortunately, the discovery of these molecules is largely empirical, painstakingly slow and often error‐prone. To this end, we are improving the speed and accuracy of compound identification by parallelizing compound synthesis and screening through the application of synthetic biology and robotic screening. The engineered microorganisms that synthesize the compounds of interest are subsequently employed in precisely controlled bioprocesses for sustainable and continuous manufacturing of the behavior modifying compounds. Research Interests: Soil-transmitted helminths (worms) are the most prevalent infectious microorganisms of humans, with approximately two billion people infected. Trichuris is a soil-transmitted nematode parasite that infects humans and animals. Resistance to re-infection is acquired with age and is associated with the expression of CD4+ T helper 2 (TH2) cytokines. Anti-helminthic treatment is effective but provides only a short-term benefit due to the stability of infective nematode eggs in the environment. Thus, problems of repeated infections, coupled with increasing cases of drug resistance and growing costs of developing new chemotherapeutic agents, dictate an increasing requirement for long-term immunological intervention strategies. My research focuses on understanding the cellular and molecular mechanisms that regulate the development of protective immune responses during infection with Trichuris. Surprisingly little is known about how B. pertussis colonizes previously vaccinated (or immune) people, but it is becoming increasingly apparent that the organism has a repertoire of immune evasion tactics. Among these, is the ability to circumvent or dampen the complement system. In addition, B. pertussis has the ability to modify the lipid A moiety of its lipopolysaccharide (also called lipo-oligosaccharide), a property associated with immune modulation. My laboratory also studies a family of bacterial surface proteins that represent a large class of virulence factors in Gram-negative bacteria, including B. pertussis. These proteins, called autotransporters, appear to encode their own channel to enable them to cross the bacterial outer membrane. How this happens is the subject of much debate. Tuberculosis (TB) kills nearly 2 million people annually and 1/3 of all humans are infected. Co-infection with HIV and the emergence of resistant strains (MDR-, XDR- TB) has reaffirmed TB as a global public health threat. There are hundreds of drugs on the market, yet few are effective against TB. TB therapy is unpleasant and long (6-9 months). Curing MDR-TB can take up to 2 years, and there are no effective options for treating XDR-TB patients. New therapies are needed now. 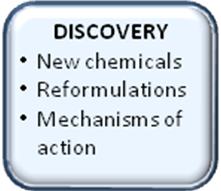 Conventional drug discovery programs have focused on finding new compounds with novel targets but this has not been productive in recent decades. It takes ca.14 years/$800 million to bring a drug into the market. Our innovative approach focuses on a faster, more economical solution: To identify new synergistic combinatorial TB therapies using clinically approved drugs. Because these drugs have known pharmacokinetic and safety profiles, any newly identified combination can be rapidly evaluated in clinical trials. The Centre for Tuberculosis Research (CTBR) at UBC is dedicated to the development of novel therapeutics to curb the effects of the most devastating infectious agent of mortality worldwide, Mycobacterium tuberculosis (Mtb). The Centre brings together researchers from the Faculty of Medicine (in the departments of Medicine, Pathology and Laboratory Medicine, Biochemistry and Molecular Biology) with colleagues from the Faculty of Science (in the department of Microbiology and Immunology). The creation of the Centre allows these researchers to collaborate with each other, build upon each other’s strengths, exchange ideas and data across disciplines and create a stimulating training environment for graduate students and postdocs. The development and optimization of novel anti-bacterials is facilitated through working with the Centre for Drug Research and Development (CDRD). Vision: To promote cutting-edge collaborative opportunities in the disciplines of microbiology, biochemistry, immunology and chemistry to better understand biological systems that can be used as targets for new drugs for tuberculosis chemotherapy. 1. To understand the scientific basis of Mtb’s prevalence, including its inherent resistance to antibiotics and its unusual ability to persist in the host. 2. To develop and optimize novel anti-bacterials that target Mtb. 1. Identification of new potential drug combinations to overcome the intrinsic resistance of M. tuberculosis. 2. Identification of M. tuberculosis enzymes that degrade cholesterol – a major nutrient source during infection. 3. Characterization of M. tuberculosis signalling proteins that disrupt host function.